The Home, Gardens and Lifestyle Show 2018 in Denia promises to be filled with inspiration, information, fun and features related to homes, gardens, lifestyle, leisure time, health & beauty and financial planning for expats with in Spain. 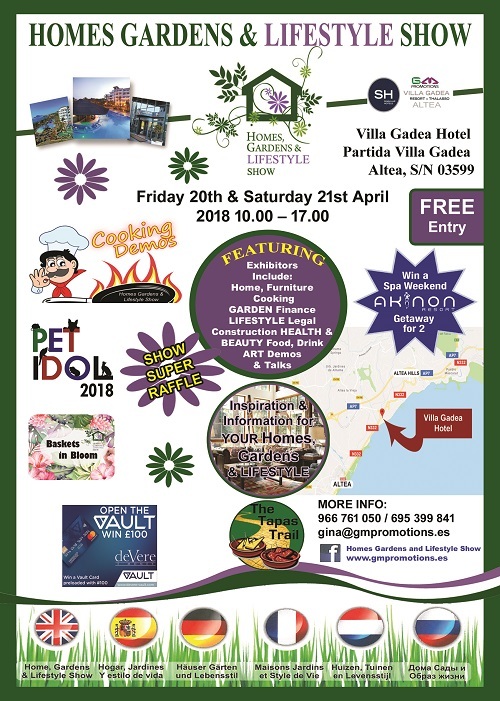 Taking place on Friday April 19th and Saturday April 21st at the 5 Star Gadea Hotel in Altea on the Costa Blanca, the exhibition includes stands from local businesses providing expats with a range of services including finance & insurance. Local suppliers of various home improvement products such as blinds, curtains, swimming pools, driveways, kitchens and garden furniture. Also art galleries based on the Northern Costa Blanca, health & fitness coaches and local clinics and medical services. 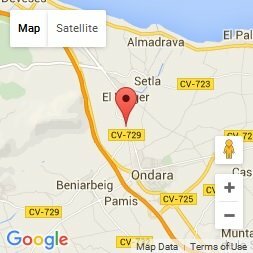 CarOutlet will be at the exhibition in Altea highlighting the range of motoring services we provide Expats and home owners in Spain. 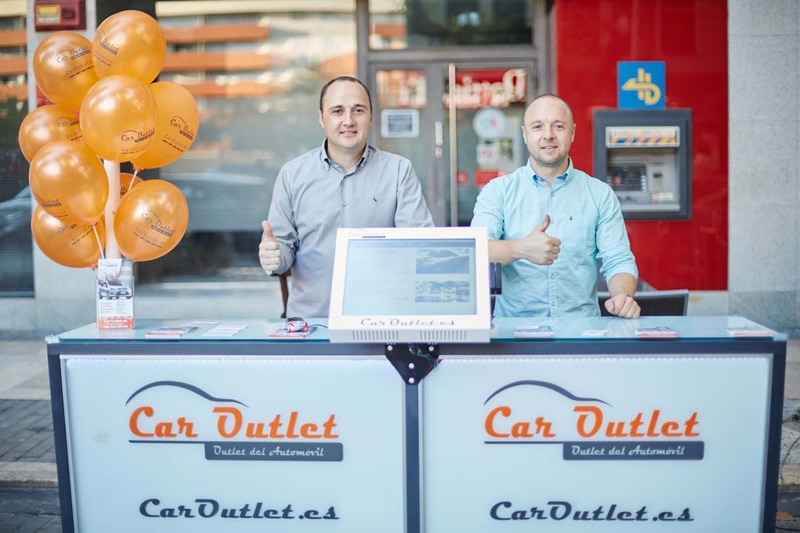 Not just with our large range of second hand and nearly new cars available for purchase but we also assist with car finance and change of vehicle registration from UK to Spain. We can advise on which car insurance companies to contact for a quotation and what documentation such as passport and NIE numbers are required for buying and selling a used car in Spain. 16.45 – Prize Draw Results!